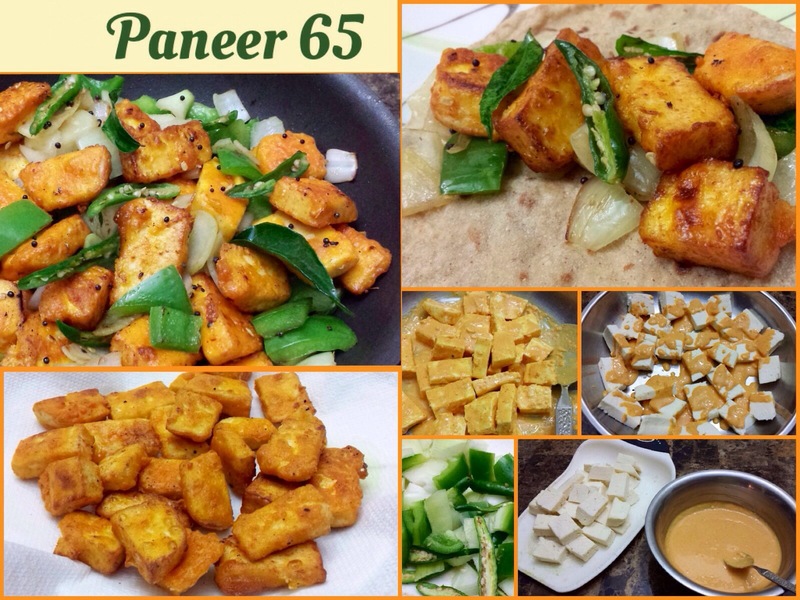 Paneer 65…. A vegetarian interpretation of the classic! Spicy Juicy Golden Nuggets of Pure Delight! A delicious all vegetarian spin on the classic!! 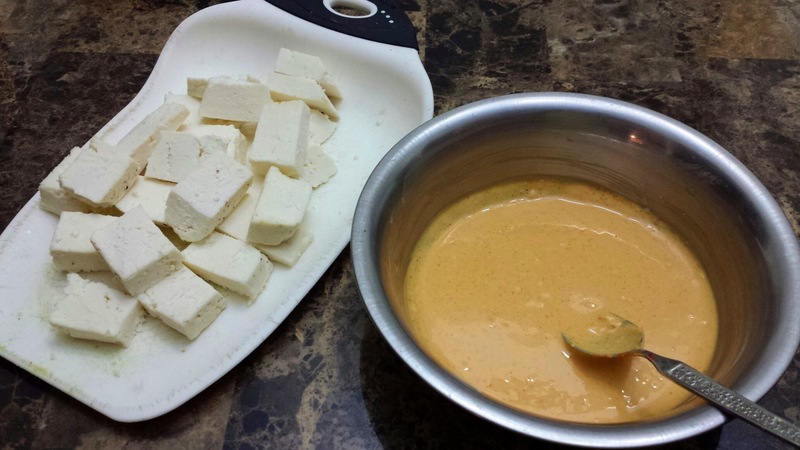 Serve it is a quick appetizer or use as filling in soft rotis….to make yummy Frankies! 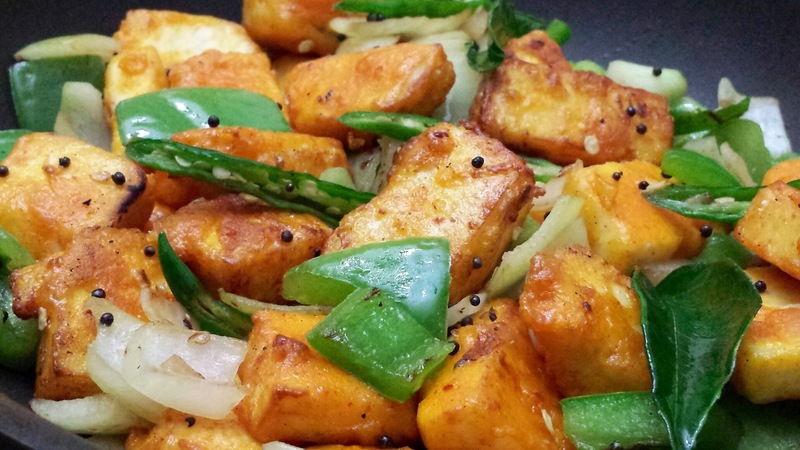 Especially good…When made from soft homemade Paneer! 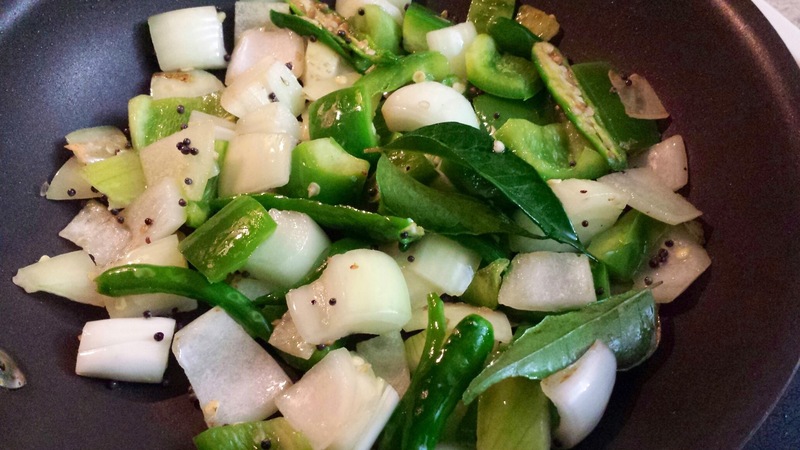 Dice some onions and green bell peppers and slit some green chillies. 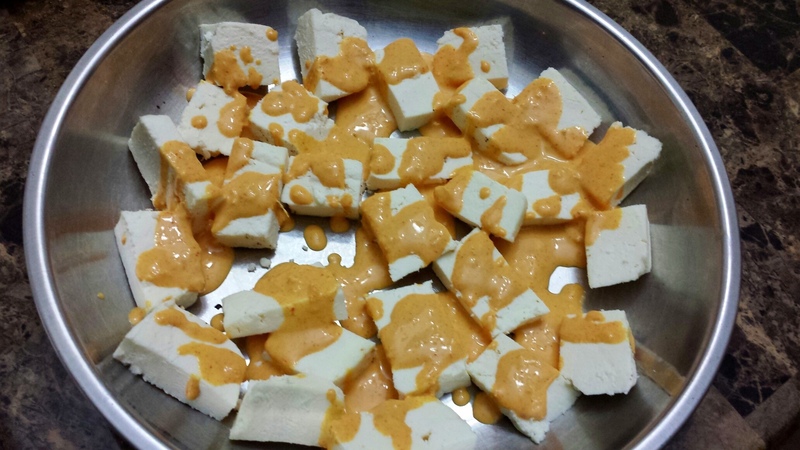 Drizzle marinade on paneer pieces and toss gently. 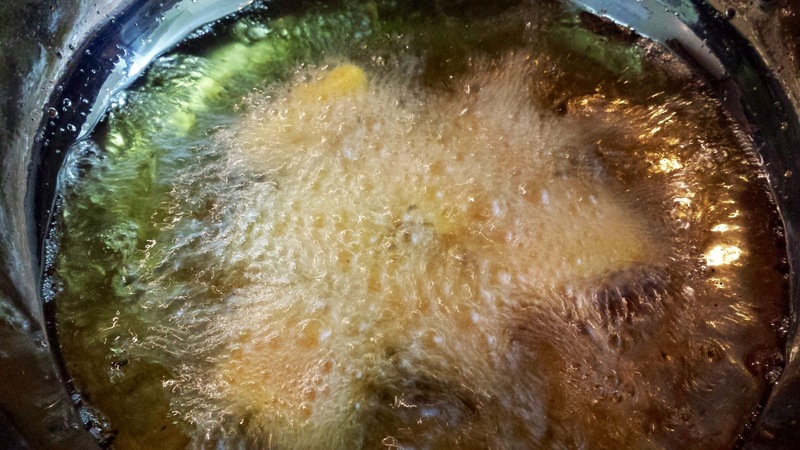 Next heat a tsp of oil…add rai, kari patta, greenchillies. 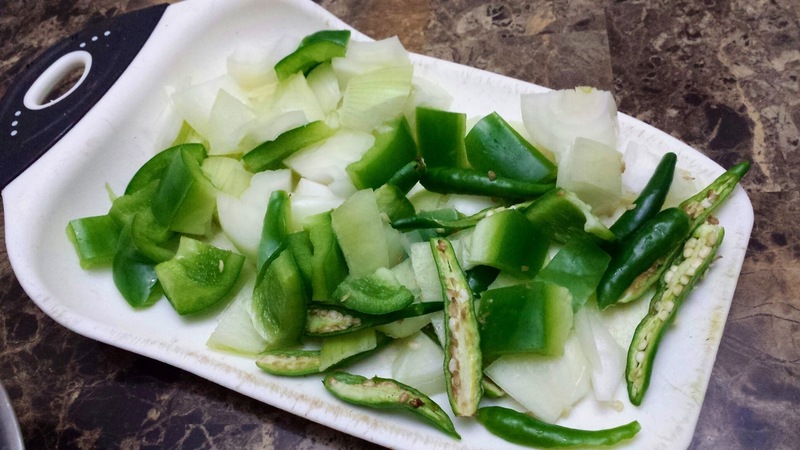 Also add diced onions and capsicum and stir fry for a couple of minutes. Add salt to taste. 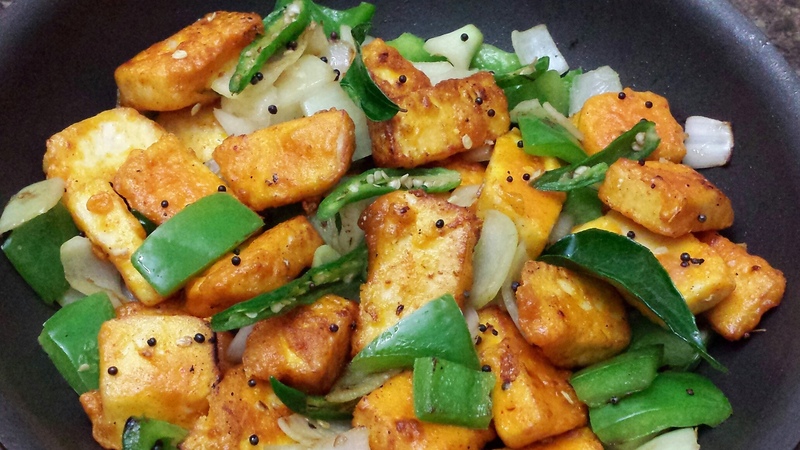 Toss in the paneer and stir fry on high heat till warmed through….serve hot. 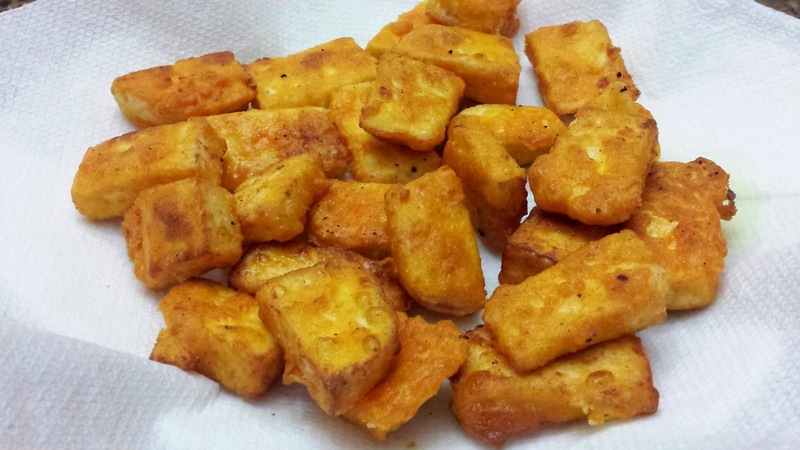 Great appetizer… Or filling for paneer frankies!! Going to try this tonight with Tofu – after draining out the liquid ! 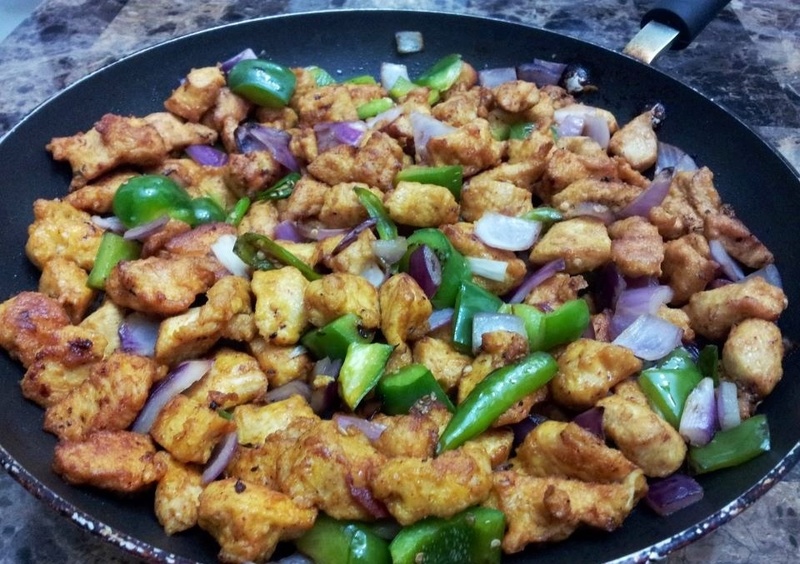 All the best….do give feedback on how you liked it with tofu! Can you pls tell me. 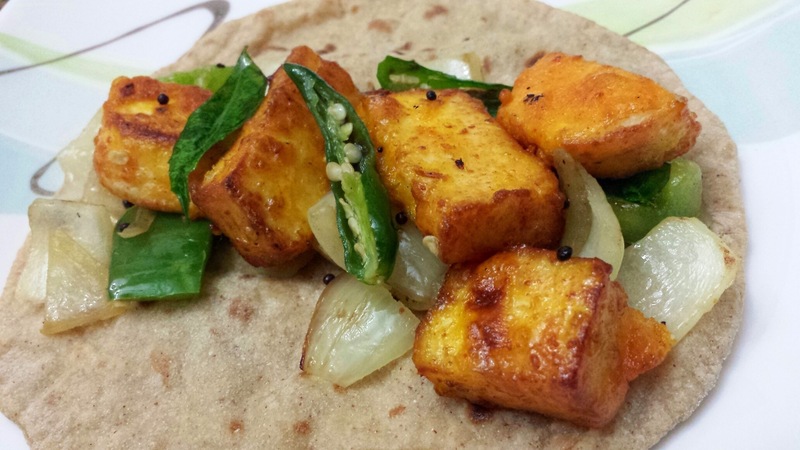 How did you make the home made paneer. I mean. 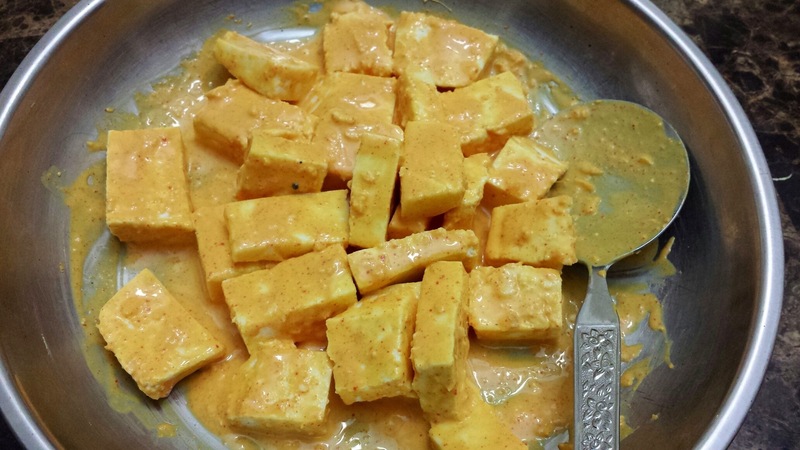 Out of which milk and with what, Did the milk chance into paneer.